Bright colors are the easiest way to give white walls life. This is good news if you are renting and have inherited white walls. Finding an alternative to painting is a must for your place to feel unique and look completely fabulous. Which means adding color without painting. It means paying attention to color schemes, leaving white walls in tact, and concentrating on decorating ideas, great table settings, adventurous color schemes, textures, fabrics and lighting. There are many roads to fabulousness and you need to find yours. Apartment Therapy have a great article on Adding Color Without Painting. The article shows a number of great color schemes and decorating ideas with white walls as the underlying principle for bright colors. You can see the usual suspects such as navy and white, black and white, orange and white and this one above using the smallest accents of red and blue color schemes using the painting as the main focal point to draw in other decorating ideas. Large scale It stands to reason that if you're not allowed to paint a wall a color but really want a wall to be a color, find large-sized posters and canvases that will allow you to hang a lot of color, at the very least. Let the art go overboard If you've got to stick to very white walls only, don't be afraid to find art that experiments with lots of colors and energetic patterns; this will heighten their impact. Don't be afraid to paint other things Even if you're not allowed to slap some hues on the actual wall itself, no one said anything about painting frames or other hang-able accessories in the color you want. • Spray paint a light fixture to that color you want to add into your design. I’ve taken inexpensive chandeliers and sprayed them baby blue, coral pink, white, black, etc. Just make sure to cover the electrical sockets for the bulbs so that you don’t spray inside them. • Switch out a lamp shades to colorful versions. Lamp shades can be painted, and we’ve also stretched a new fabric over an old shade to add more color. If DIY projects aren’t for you, check online for color lampshades too. For color inspiration, check out Jonathan Adler’s use of bright color in his product lines. • Accessorize with blocks of color or patterns to add texture and playfulness to every room. 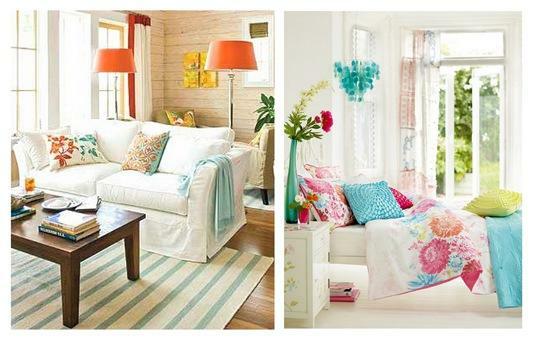 Pillows, throws, and vases are easy-to-find items that can add a lot of wow-factor and finish to room décor. Have a neutral piece of furniture? 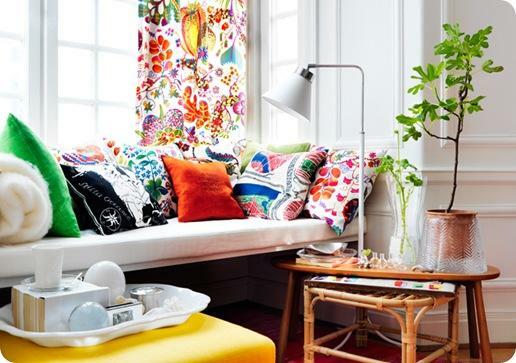 Take brightly colored large pillows to fill the back of the piece. All of sudden that white loveseat is a large block of color! 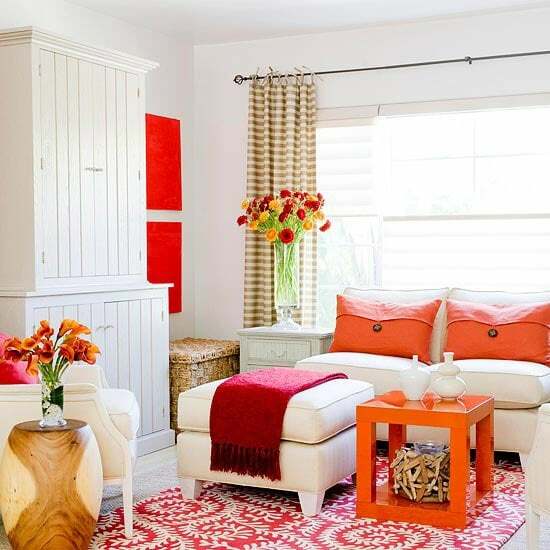 Adding color without painting becomes easy when you layer bright colors with rugs, art work, pillows and cushions, and lighting against white walls and use color schemes that incorporate some of these decorating ideas. 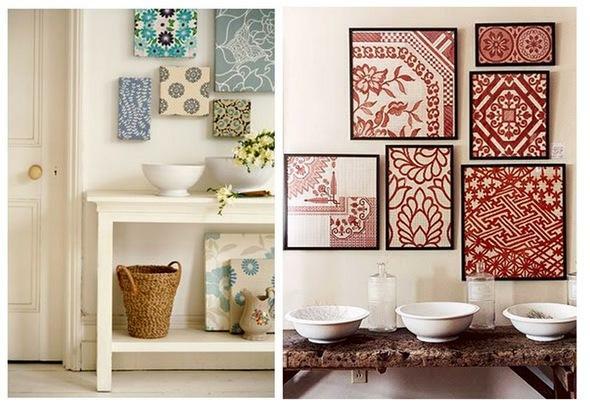 Here are more ideas on decorating with white walls so they become interesting spaces. Please leave a comment - we always love hearing from you. Like us on Facebook and share - the world needs more sharing.